You don't have to work on everything that has added stress to your life. You just have to work on a few Significant events and that tends to clear and rebalance your system. You can think of EFT as our body's Natural built-in Pressure Release Valve, much like the valve on a Pressure Cooker. 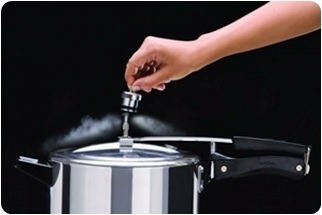 EFT can release the stress /pressure slowly and safely much like the valve on a pressure cooker. and EFT is the perfect tool. Pressure Release Valve on a pressure Cooker. Energy System and Our Nervous System.